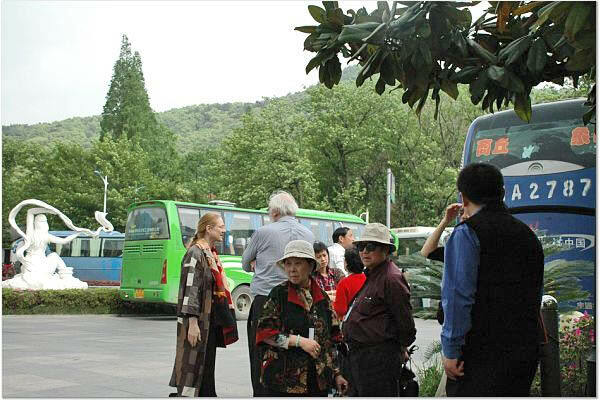 The HumanDHS network participated in the Second International Conference on Multicultural Discourses at the Institute of Discourse and Cultural Studies on the New Campus of Zhejiang University (13-15th April 2007), with the panel 'Giving Voice to the Humiliated' (on 14th April). These pictures come from Evelin's camera. These pictures of our panel 'Giving Voice to the Humiliated' (on 14th April) come from Brian Lynch's camera. Please see these pictures also on Brian's site at http://share.shutterfly.com/. Please see here the videos of the talks by Evelin Lindner, Reimon Bachika, and Jacqueline Wasilewski. Please see here the videos of the entire conference by Brian Lynch. 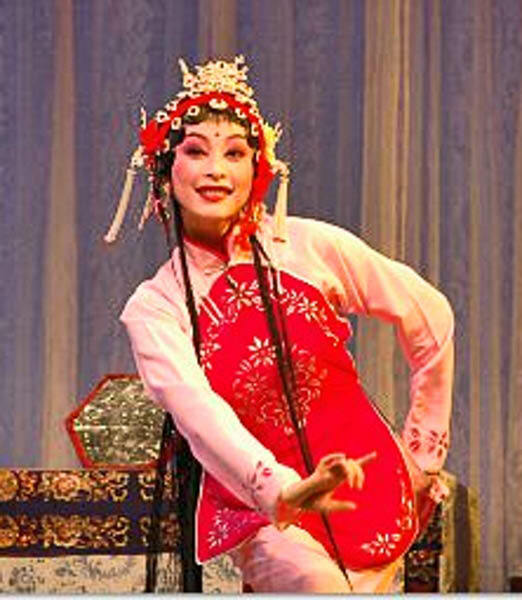 Yue Opera at the Shengli Theatre on 14th April. Please click on the picture on the left side above or here to see more photos of the opera itself. Please click on the picture on the right side above or here to see more photos of us posing with the artists at the end! These picture come from Brian Lynch's camera. Please see these pictures also on his site at http://share.shutterfly.com/. 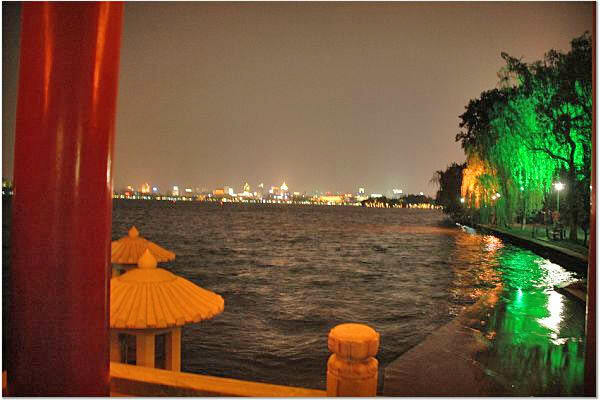 Keitaro, Neil, and Brian enjoyed Hangzhou's Westlake. These pictures come from Brian Lynch's camera. Please see these pictures also on his site at http://share.shutterfly.com/. 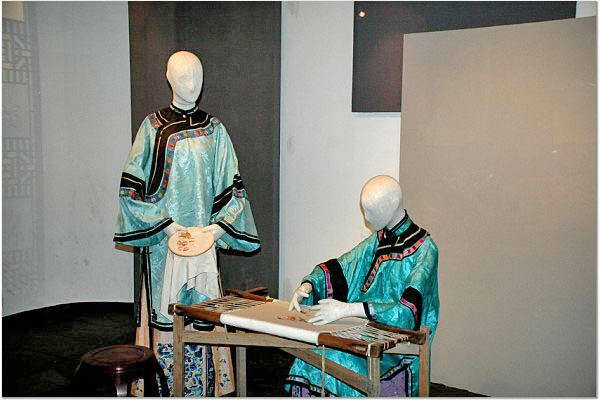 Picture on the left side: Visit to the Silkmuseum of Hangzhou on Sunday, 15th April 2007. These pictures come from Brian Lynch's camera. Please see these pictures also on his site at http://share.shutterfly.com/. The Second International Conference on Multicultural Discourses ended with a grand banquet followed by dance! 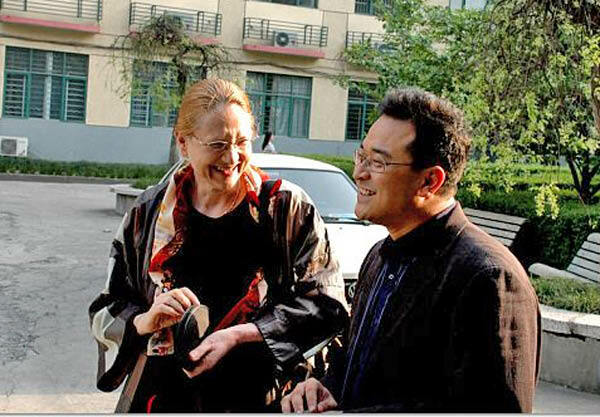 Together with Professors Jianhong Ma and Hora Tjitra, at the Department of Applied Psychology on the Xixi Campus of Zheijiang University, we had the Interactive Workshop on 'Collaborative Learning Environment Characterised by Mutual Respect' (on 16th April 2007). Please see here the videos of the talks by Evelin Lindner, Jacqueline Wasilewski, Steve Kulick, Reimon Bachika, Brian Lynch, Neil Ryan Walsh, and Keitaro Morita. Please see the videos of the entire conference by Brian Lynch. In June 2007, our beloved Donald C. Klein passed away. Please see Alan Klein's invitation to commemorate his father's life, and please see further down our condolences, or, more precisely, our love letters to Don. We are shattered and, for the moment, speechless. Dear Becca and Alan! We are holding your hands in this difficult moment of losing your father and grandfather. Don was and will always be, one of the central pillars of our work and our group. He is on the Board of our Directors and will always be there. He spoke to us about Awe and Wonderment. About our human ability to live in awe and wonderment, not just when we see a beautiful sun set or the majesty of the ocean, but always. That we can live in a state of awe and wonderment. And we do that, says Don, by leaving behind the psychology of projection. The psychology of projection is like a scrim, a transparent stage curtain, where you believe that what you see is reality only as long as the light shines on it in a certain way. However, it is not reality. It is a projection. And in order to live in awe and wonderment, we have to look through this scrim and let go of all the details that appear on it, in which we are so caught up. When we do that, we can see the beautiful sun set, the majestic ocean, always, in everything. We are with you, dear Don, wherever you may be now! And we promise to always remember that we can live in Awe and Wonderment, always! Evelin, on behalf on our entire HumanDHS network! HumanDHS has so far had two annual conferences, one outside the U.S., and the other in New York, at Columbia University. The outside-of-the-U.S. conference is usually rather informal and geared towards group-building, with a lot of Open Space sessions, while our NY conference is more formal and academical. 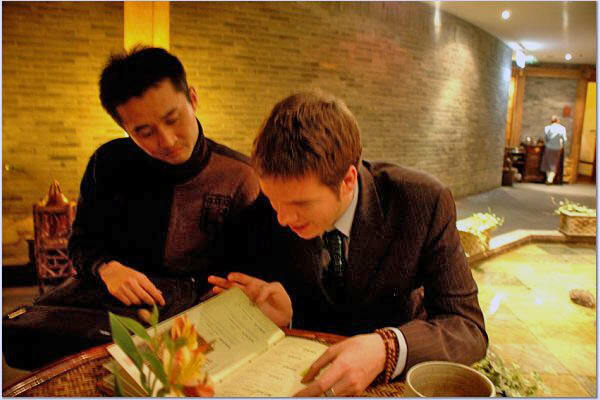 In our China conference we wished to pursue a third objective, namely meeting like-minded people in China. The West has a relationship with China that is almost only played out in the economic sphere, while what seems to lag behind is an attempt to enter into a deeper dialogue both in academia and culturally in general. 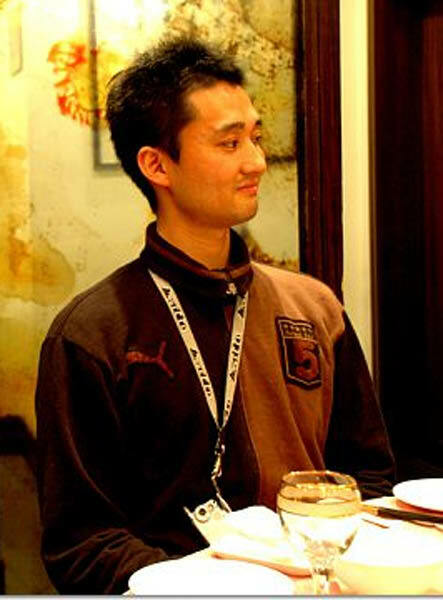 For example, famous Chinese philosophers and writers such as Lu Xun, who wrote about humiliation and its destructive effects, are rather unknown in the West. 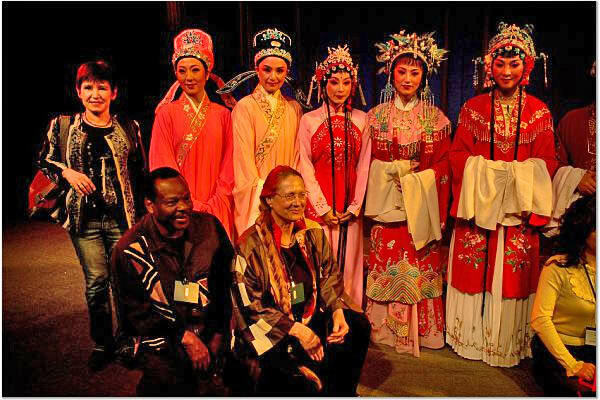 Particularly the Multicultural Discourses Conference, that aims at 'giving voice to the voiceless', could give voice to such Chinese thinkers, and introduce them into a larger global dialogue. May I express my sincere gratitude and appreciation to our hosts! Vice-head, School of Psychology and Behavioral Sciences, Zhejiang University, Executive Director, Center for Human Resources and Strategic Development Studies, Deputy Director, Institute of Applied Psychology, Zhejiang University, Hangzhou, Zhejiang, China. 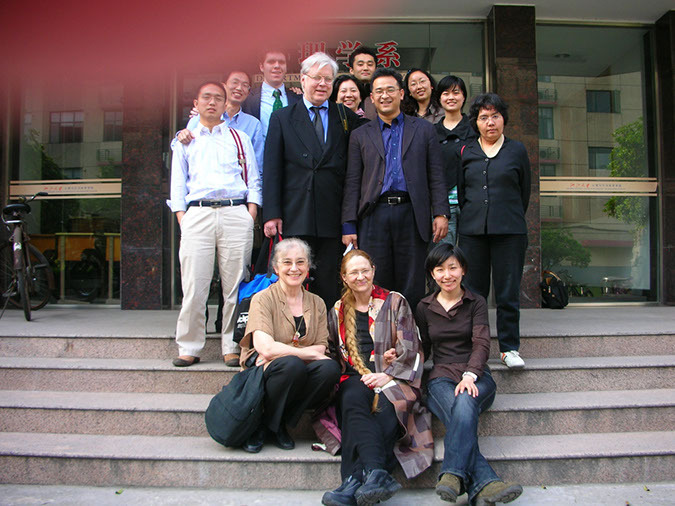 Professor Ma, together with Professor Tjitra, convenes the Interactive Workshop on 'Collaborative Learning Environment Characterised by Mutual Respect' at the Department of Applied Psychology on 17th April 2007.  Professor Hora Tjitra, Ph.D. 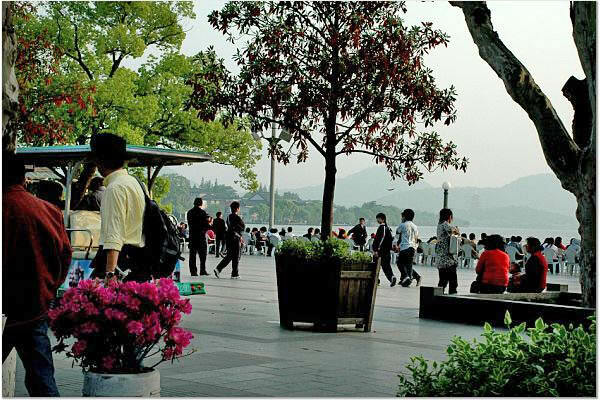 Professor of Psychology, School of Psychology, Department of Applied Psychology, Zhejiang University, Hangzhou, China. Professor Tjitra convenes the Interactive Workshop on 'Collaborative Learning Environment Characterised by Mutual Respect' at the Department of Applied Psychology on 17th April 2007. Ph.D. candidate in psychology, Zhejiang University, School of Psychology and Behavioral Sciences (Program: Complex Problem Solving). 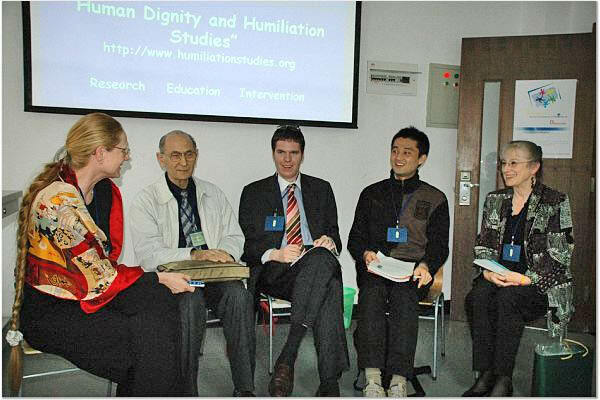 Hequan, together with Professor Tjitra, convenes the Interactive Workshop on 'Collaborative Learning Environment Characterised by Mutual Respect' at the Department of Applied Psychology on 17th April 2007. 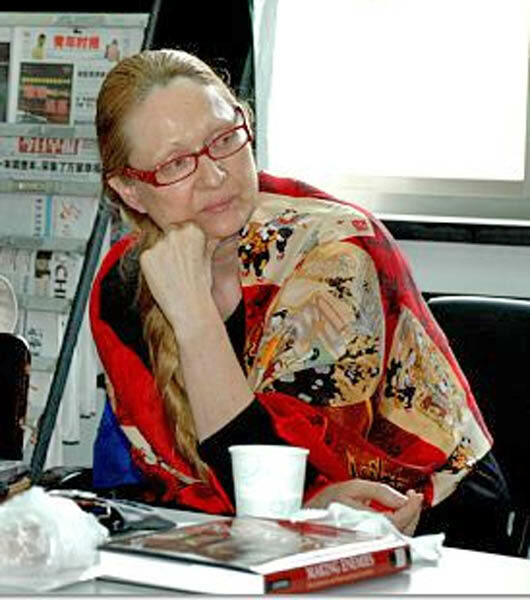 Director of the Institute of Discourse and Cultural Studies, Zhejiang University, in Hangzhou, China. He has been a Research Fellow at the University of Amsterdam, Lecturer at the National University of Singapore, and Reader at the University of Ulster. He is the author of Cultural Representations: Analysing Discourses about the Other, of A Cultural Approach to Discourse (Basingstoke, Palgrave, 2004), and he co-edited Read the Cultural Other (Berlin, New York: Mouton de Gruyter, 2005). 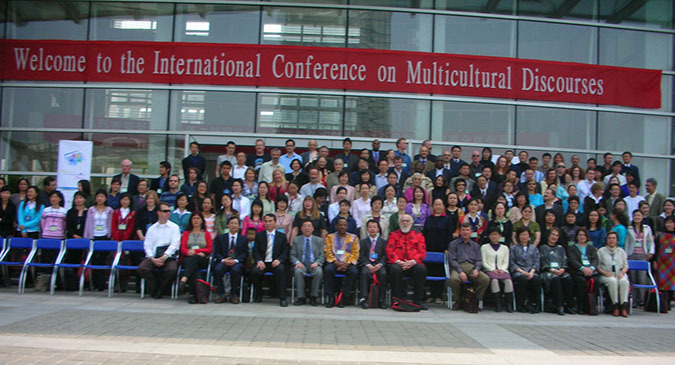 Professor Shi-xu is the convener of the 'Second International Conference on Multicultural Discourses' on 13-15th April 2007. Let me furthermore thank all of you who joined in as participants!  Please see here Reflections on Feedback from the Audience by Lindner.  Please see also some pictures. 1. Can non-Chinese understand Chinese concepts like Chinese? 2. English as universal language??? 3. How to reveal my personal story (including potentially shameful aspects) to others successfully? 4. What are the advantages of the subsidiarity principle? 5. Is empowerment a good thing? 6. What are the characteristics of a planet earth citizens? 7. With the existing diversity of emotional values, how would we hold to universal principles? 8. Will every culture have different meanings of humiliation and dignity? 9. How can we produce a new model of civilization that will give humans a future direction? 10. What factors influence the success of group dialogues? We have entered an important next strategic level, namely to prepare for sustainable growth. We continuously discuss the future of our work, ever since our network began to emerge (starting with the idea in December 2001). At our 7th Annual Conference in Costa Rica, we dedicated a specific Open Space session to discussing the future of our work. Intense brainstorming was thus opened that continued, via email, until the end of 2007. Currently we have ca. 500-1,000 members (depending on how wide we define membership; our address list entails ca. 1,000 entries), and our website registers monthly ca. 8,000 pageviews of an average of two minutes from more than 180 countries. Our growth can theoretically proceed exponentially; it is, however, being limited by our human resources. 1. Dear Phil, Linda and I have discussed continously, and have found that we need to put our health, and the relationships in our network first, and 'tangible products' second. Even if we grow slower than we would wish, we need to accept the speed (or slowness) of what we can deliver without 'killing ourselves'. 2. We have started to build a Global Coordinating Team. First, in December 2006, I thought, that I would need an administrative person to help me (and Linda likewise), but this turned out to be the wrong path. Linda and I found out that we do the work of a team of ca. 10-15 people, each of us, and that just to help us with the current workload (not to speak of future growth), we need a team of about that size or more. We noticed also that our approach is so unique that a lot of explaining is to be done; we cannot just expect helpers to know what to do, and how to do it. Furthermore, we cannot have people help us who we employ just for administration (because almost none of our tasks represents purely 'administration', almost everything we do entails also relationship-building elements), and/or who work for us just for a salary (we need people who put their soul into our work). We have started to search for suitable cybersolutions to move our network nurturing tasks onto cyberspace so that they can be handled by a larger team (copying each other on emails is not suitable when a larger team has to handle many nurturing relationships). Linda has already wonderfully built our Ning Cyberspace and is currently asking Ning, whether they can offer functionalities that are provided, e.g., by WowBB. Furthermore, we need a solution to build an address database, which was started by dear Rebecca Klein years ago. Dear Brian Ward is kindly offering to help with continuing this work, perhaps we will use CiviCRM. I have now the database of ca. 1,000 addresses on my laptop and the plan would be that I send him one or two per day and he puts them into CiviCRM, something like that. We need to prepare for times where we might have 10,000 members or more! We have a kind offer to audit the website from dear Michael Haggerty (and Brian Ward kindly offers to help with that), however, we have to wait with the website until we have moved the email load to our helpers' team, because Linda and I cannot carry more burden than we do now. As we found out, we need a year or more just to build a team of helpers that can alleviate us a bit from the email burden, since so much more explaining needs to be done than we expected. I think that we might be ready to do something with the website in one year's time or two. Many tell us that we need to move our entire website to Joomla, and I suspect this will have to be done. This will be a major job that we cannot take on now. 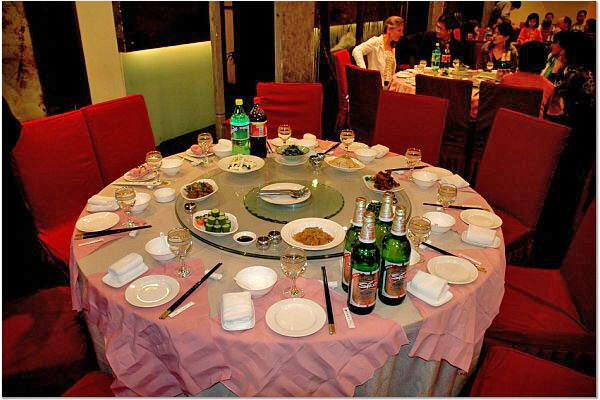 As to dear Michael Perlin and our e-Classroom, everything is set up for people to start; people need to be invited. Linda and I would need to plan for making our introductory module first. I hope this short summary helps a bit, dearest Linda and Phil! We found out, that much more explaining has to be done as we grow, in order to keep our efforts coherent, cohesive, and transparent. We lost a lot of time and energy in the beginning of this year, when people delved into discussions as to what we should do, as HumanDHS, without being informed where we stand and where we wish to go. Lots of problems were discussed that we did not have (we have no spam problems on our new News Section, for example, we solved them, and there is no need to discuss the problem of spam, just to give you an example), and the problems that we do have, were not addressed, or if they were addressed, they were addressed in an unhelpful timeline or sequence of steps. The conclusion: Linda and I need to be a bit stronger in guiding the discussion, in order to avoid that we lose energy and time on discussing problems we do not have, energy and time that is then missing for addressing the problems that we do have, and for drawing up a helpful timeline: first we need to alleviate Linda and me from the email load, then we need to build a address database, an e-classroom, and only after having alleviated Linda and me from the email load, can we work on the website. I would like to end this newsletter by thanking all our network members for your wonderful mutual support! I think there was nobody who did not contribute generously, therefore let me give my warmest thanks to ALL OF YOU AND US! 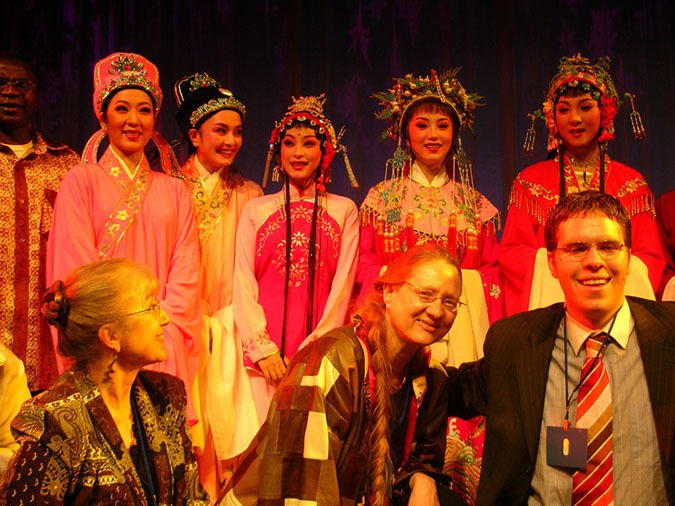 I very much look forward to our next conference in NY in 2007!